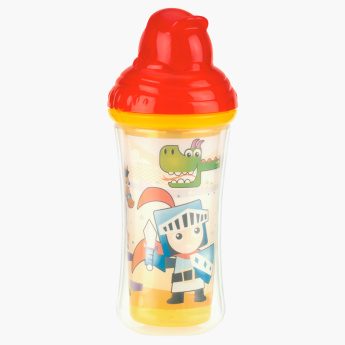 Nuby Printed Insulated Cup with Flip-it Straw - 270 ml | Red | Non-Spill. Your little bundle of joy will love drinking from this non-spill cup. Sporting an insulated straw cap with a flip-it cover, this BPA-free cup offers maximum hygiene and looks quite fetching with attractive prints. Feature 3 : Insulated Straw cup with flip it cover for sanitary and hygenic drink.